Shen Poker is housed within the IDN Play Poker Network – the largest poker network in Asia! The number of players in Asia’s largest network is unsurpassed and is still on the rise. The IDN network came to Europe less than a year ago and has grown quickly. It is currently #2 on the global cash game market, right behind PokerStars. Shen Poker is the largest licensed (1st Cagayan license) Chinese website. The network includes a large number of skins aimed at players from different Asian countries – Malaysia, Indonesia, Nepal, Thailand, Cambodia, South Korea and others. It’s no secret that Asian poker rooms have boomed in recent years in China. Live Texas Hold’em Poker – Shen Poker gives players a whole new poker experience and hosts live dealer poker games. The action here is even wilder than at the regular tables and offers a great gaming experience that is not available anywhere else. Players from all countries are welcome to the Live games, including players from Spain, Italy, France and USA. Poorly skilled Asian players draw players from the US, Europe and around the world to the IDN network. There is a lot of traffic, even at the high limits tables. At No-Limit Texas Holdem you can find traffic at tables up to NL3000 which is usually only available at PokerStars. Over 10,000 players are online at peak times. However, there is no Omaha and tournament action at Shen Poker. One reason for the strong traffic is the size of the Asian market. Online poker is becoming more and more popular and you can expect that trend to continue in the next few years. All players receive an incredible welcome bonus of 200%. There is no limit on this first deposit bonus. If you deposit € 1,000, you will receive a € 2,000 bonus that you can release through a variety of steps. You have a total of 30 days to clear the bonus. In addition all players are automatically enrolled in a $ 70,000 Rake Race. And that’s not all, each month Shen Poker offers all players custom promotions. On a computer, ShenPoker is available directly through your web browser. Players don’t need to download anything, and getting started is as easy as visiting their website. Shen Poker also offers all players a great mobile app for iOS, Windows, and Android. All players deposits are held in Indonesian Rupees (IDR). $100 equals 1,350,000 poker chips. 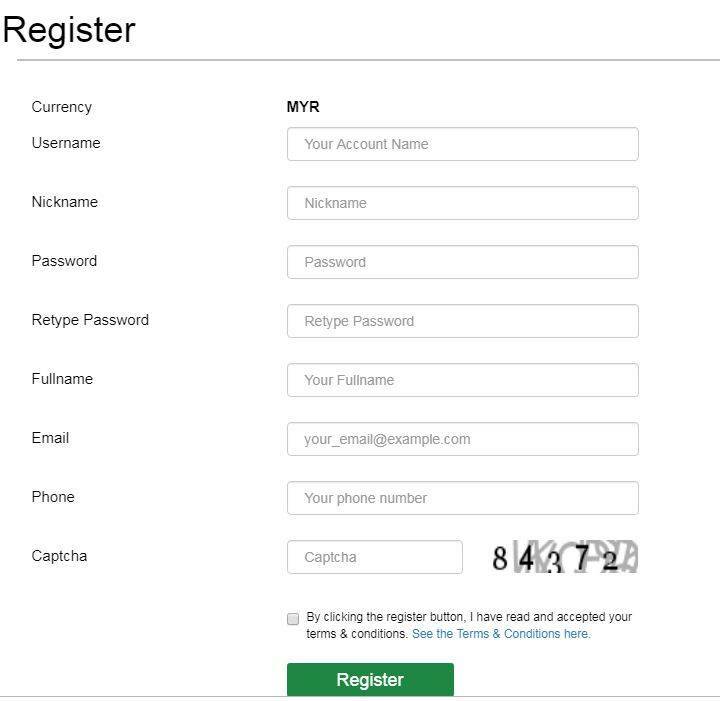 Deposits and withdrawals are now available via the well-known e-wallets Neteller and Skrill. Credit card and bank transfers are unfortunately not offered at ShenPoker. Payments via Neteller and Skrill will be processed within 24-72 hours. Shen Poker is not very well known throughout Europe but that’s sure to change soon. The player field is still fairly weak. Poker and especially online poker is not widespread in Asia, so the playing field should remain easy for the near term. Shen Poker offers good promotions, and there are always full tables including at the higher limits, so it’s a safe bet you can earn big at Shen. The IDM network and the Asian poker market will continue to grow strongly in the future, and YourPokerDream strongly recommends Shen Poker if for players who want to play cash games or try out their innovative live poker games. 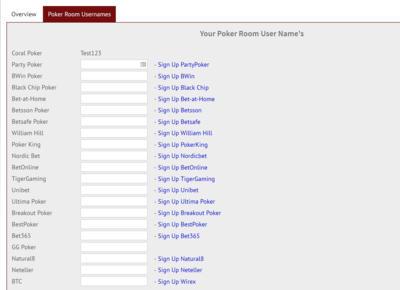 How to sign up correctly via YourPokerDream at Shen Poker? 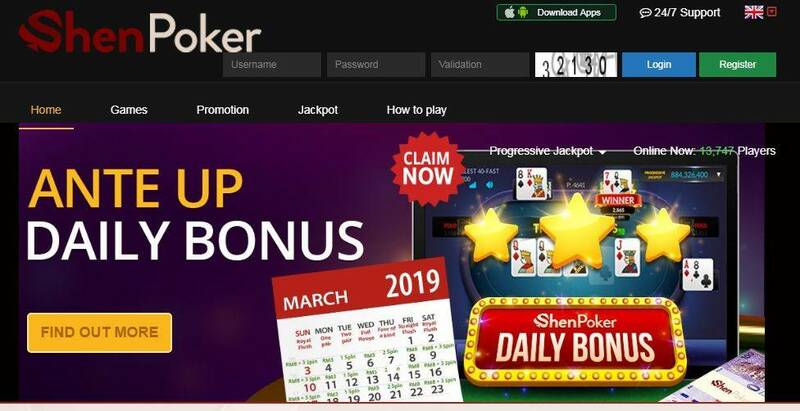 Step4: After you’ve successfully signed up for Shen Poker, all you have to do is log in to your YourPokerDream account and enter the username which you have chosen at Shen Poker and press “save changes”. From this point on, everything will run automatically and you can use all exclusive offers from YourPokerDream in addition to the normal offers of Shen Poker. An Exclusive Promotion for all new members who create a new poker account at one of our partner rooms. Win a holiday trip to Ibiza or some other nice prices. Only players who create a new poker account at one of our poker partners receive one ticket for our lottery. Get a daily bonus at Shen Poker. Win the total prize of 70.000.000. Get your Bonus Fortune Spin. Unlimited welcome Bonus is valid from 1st January 2018. Play at Shen Poker and get 25 % Rakeback from the poker room. Players who have Bithday get a special nice bonus from Shen Poker. Get 50% cashback bonus on Saturdays and Sundays. Loyal members get a lot extras. Reach different targets and receive some nice presents. The more friends you refer, the more you get. 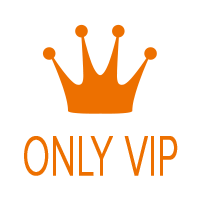 Bonus will be transfer to Upline main balance between 01st – 05th of every month.